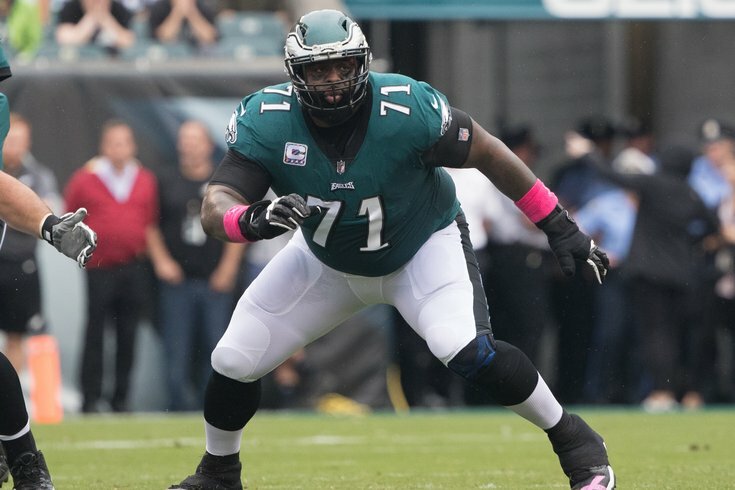 Jason Peters could just scare Hall of Famer voters into inducting him, if there was even a doubt that he'll get in. When you hear that your All-Pro, future-Hall-of-Fame left tackle has a torn bicep, it sounds like really bad news. Particularly when that bicep is on the arm of a 36-year-old nearing retirement, showing signs of slowing down after recovering from a season-ending torn ACL last year. But it could have been much worse. According to Michael Collins, the National Director of Sports Medicine for Select Medical, he tore the muscle in the right place. "Typically, when you use the term 'tear' it means part of the muscle has pulled away from its attachment site to bone," Collins, PT, ATC, MBA, said. "The ones that allow a player to continue to play are typically proximal bicep tears, meaning from the shoulder. The ones down at the elbow typically require surgery and could be a season ender. The ones that are proximal, they are painful when they happen and there is bleeding and discomfort that occurs, but the person can become functional reasonably quickly. By all reports, that's going on with Peters." Peters has been a full participant in practice this week, and by all accounts is not only on track to start in Week 7 against the Panthers, but is also looking like his old self. "That guy is the best player I have ever played with," center Jason Kelce said. "I can't say enough good things about that guy. I'll go to battle with him any day of the week." "He definitely can play. 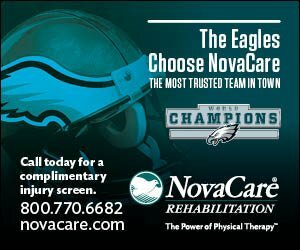 [There's] no concern with injuring him any further or anything like that," Eagles head coach Doug Pederson said earlier this week. "But [we have] all the confidence in the world with him, and he'll be ready to go." The key part of Pederson's remark is his saying there is no concern with injuring him further. "Unlike the knee, where you have multiple structures where there can be a cascading effect, this is a muscular injury," Collins, a lifelong Eagles fan and Philadelphia resident said. "I don't know that it necessarily puts him at the risk of further injury there, given the redundancy of the muscle. He certainly may see some strength deficits. I don't know that it necessarily puts him at significant risk of further injury. This type of injury, people can be pretty functional pretty quickly. "The fact that he is not deactivated is telling; he's been working out and that leads one to believe after the initial discomfort he is feeling much better. I am sure they've been working like crazy men to get him prepared." Peters' age and inability to stay healthy is a concern, though if he is able to play through the pain and play at a high level there can be nothing but respect given to one of the best ever to play his position in NFL history. According to NovaCare's expert, this accident could have happened to any lineman of any age. "Someone whose job it is top push around other 300 pound guys every day is putting extreme loads on structures most of us don't have any concept of," Collins said. "There can be any number of circumstances where the loading is at the right place at the right time and it goes. I don't think there is necessarily a correlation to his age an this injury. "I don't think there will be a significant drop off in his playing ability."